Thank you for your interest in our 0.5l Hermitico Canister. Please complete your details on the 'Quick Quote' form and click the Submit Button at the bottom of the page. A customer service consultant will contact you about the 0.5l Hermitico Canister with a quotation. 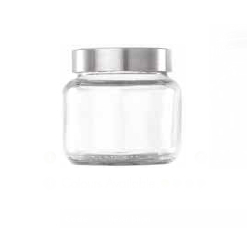 Giftwrap offers you a Hermitico Canister glass jar. 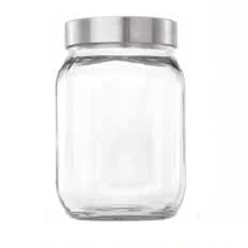 It is made from the high-quality material that makes the jar durable. 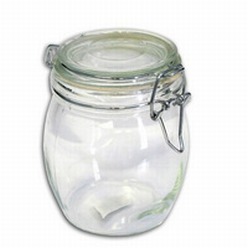 The glass jar has a clip on lid having the capacity of holding 500 ml. 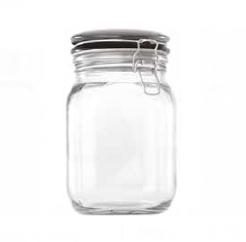 The sand blasting custom jar is a multi-purpose jar. It can be used to store spices, olive oil, herbs or cotton balls. The Hermitico canister is perfect for giving gift as a house welcoming party.